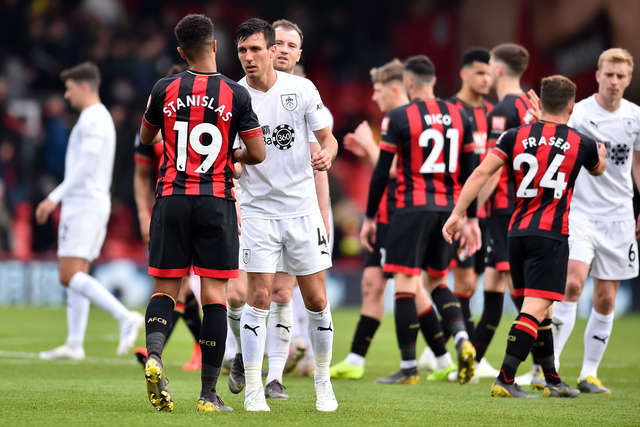 AFC Bournemouth surrendered the lead and slipped to a disappointing defeat at the hands of Premier League rivals Burnley today. 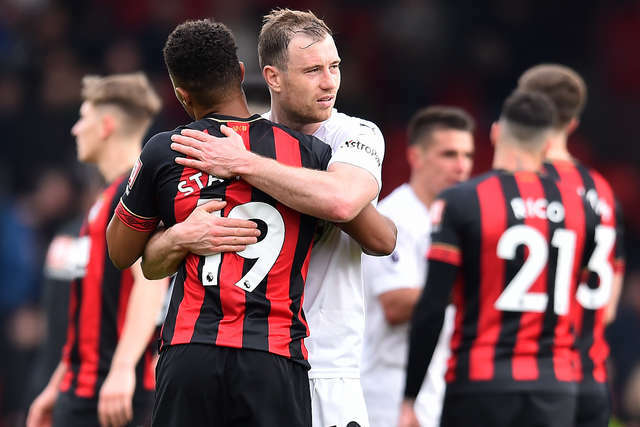 Eddie Howe’s team drew first blood when Ryan Fraser’s fourth-minute free-kick was headed past his own goalkeeper by Clarets frontman Ashley Barnes. But the visitors turned the game on its head by netting a quickfire double through Chris Wood and Ashley Westwood. Burnley’s leading marksman Wood nodded Westwood’s 18th-minute corner into the back of the net to register his 12th goal of the season. 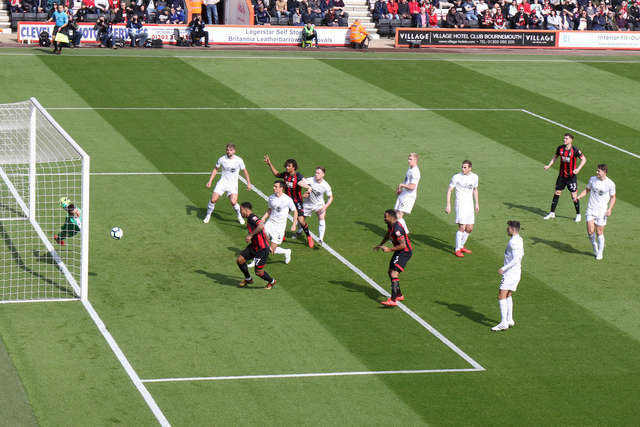 And Westwood seized on a Chris Mepham clearance before beating the Cherries goalkeeper Asmir Begovic with an arrow-like finish just 139 seconds later. Howe's men were then left with a mountain to climb after Barnes struck to make it 3-1 in the 57th minute. 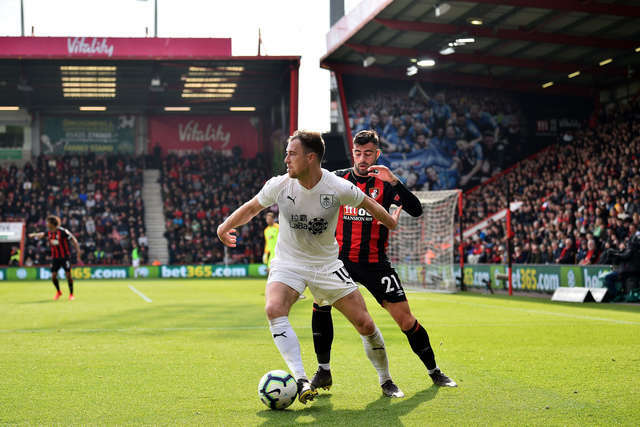 Adam Smith returned to the Cherries starting line-up having missed the past two games due to a hamstring injury. Smith replaced Charlie Daniels who is set for a lengthy spell on the sidelines after having an operation on his kneecap during the week. Burnley, 2-0 winners over Wolves seven days ago, also made one change with Matt Lowton drafted in for Phil Bardsley. 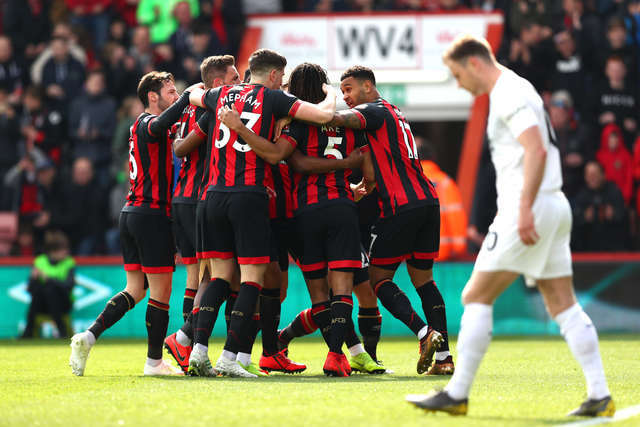 The Cherries made the ideal start when they opened the scoring in the fourth minute following a Fraser free-kick. 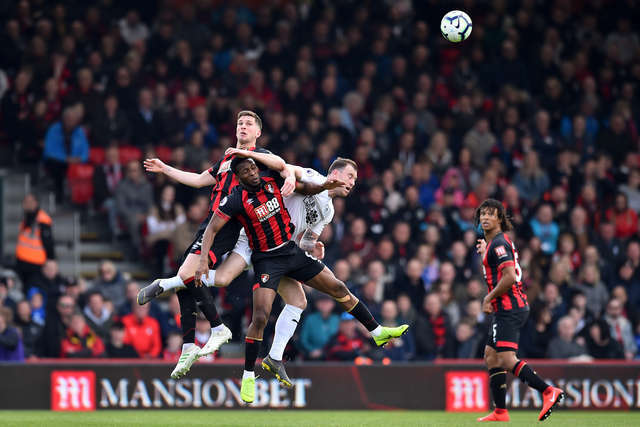 His delivery into the danger zone was flicked on by Jefferson Lerma and Barnes inadvertently headed it into the bottom corner, under pressure from Nathan Ake. As the hosts went in search of a quick second goal, Heaton was forced to scramble across his line to save Fraser’s effort from 20 yards. 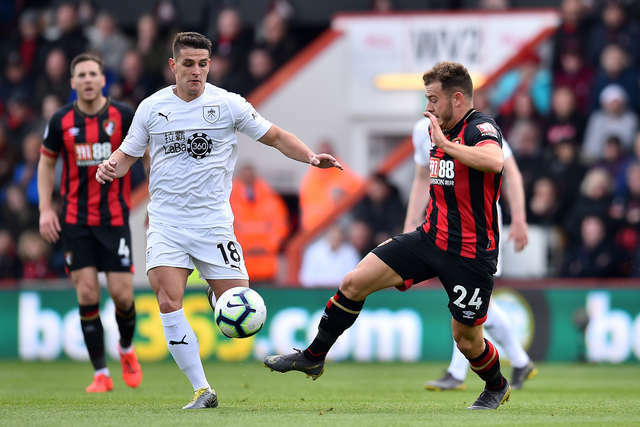 A sharp turn from David Brooks left Charlie Taylor on the floor, although the winger’s cross was cleared by the Burnley defence. 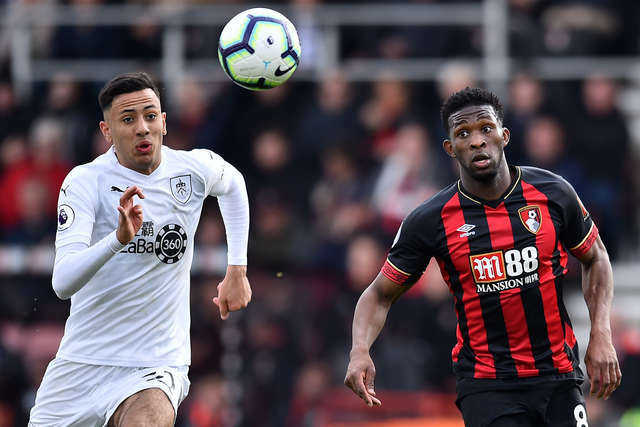 Joshua King then created an opening for Brooks but the Wales international fired his shot straight down Heaton’s throat. 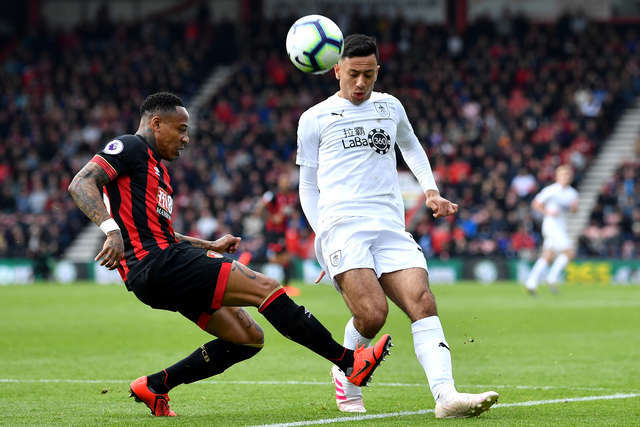 The Cherries were forced to defend a couple of dangerous crosses with Lerma nipping ahead of Barnes before Ake thwarted Wood. 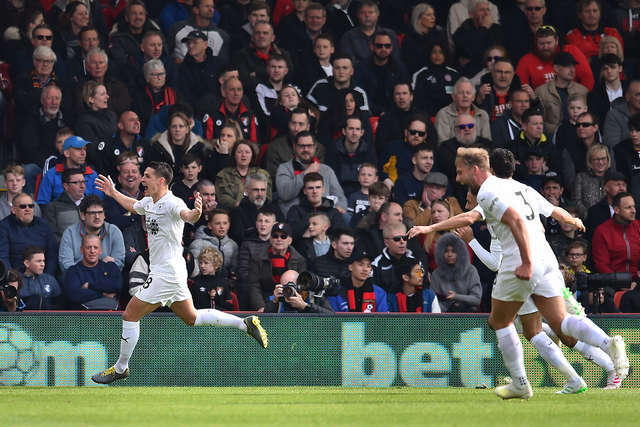 However, targetman Wood was on hand to level when he outjumped the Cherries defence at the far post to nod Westwood’s corner home after 18 minutes. And the Clarets edged in front just two minutes later when Westwood rifled an unstoppable drive past Begovic after Mepham had only been able to half clear Dwight McNeil’s low cross. 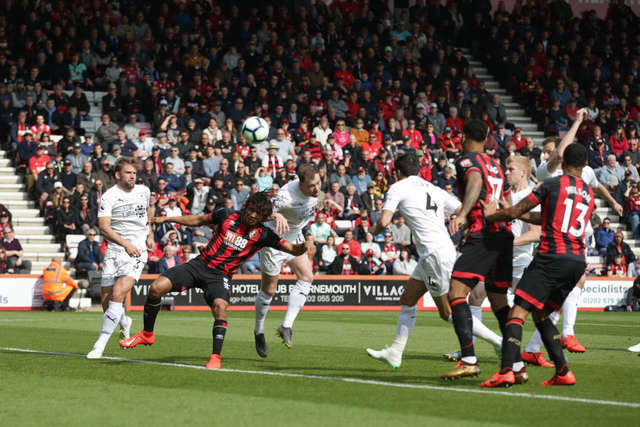 The Cherries went close to equalising midway through the first half when Callum Wilson’s header from a delightful cross from Brooks flew inches over the crossbar. Nathaniel Clyne became the first name in referee Martin Atkinson’s notebook, the defender yellow carded for a foul on the lively McNeil. And from the resultant free-kick taken by Westwood, Begovic got down smartly at his near post to paw the ball away for a corner. 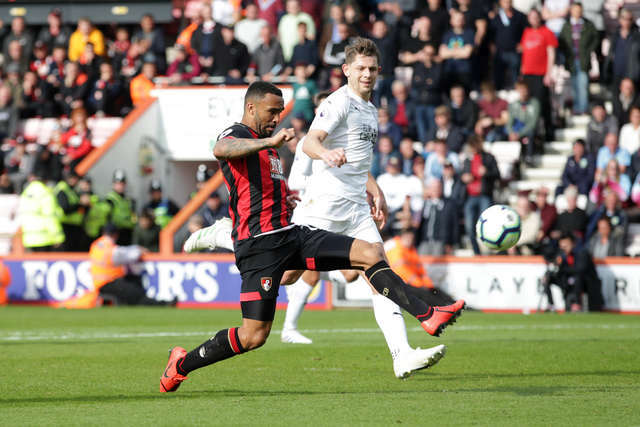 Jeff Hendrick followed Clyne into the book after unceremoniously upending Smith, although Heaton easily gathered Fraser’s free-kick on the edge of his six-yard box. 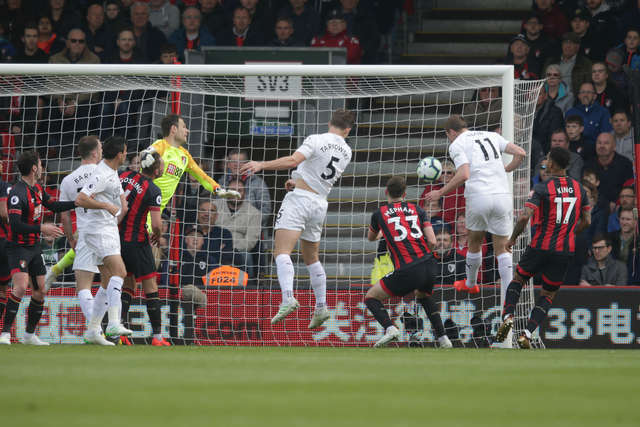 Barnes was cautioned for lunging towards Begovic after the Cherries goalkeeper had raced off his line to beat the striker to a through ball. 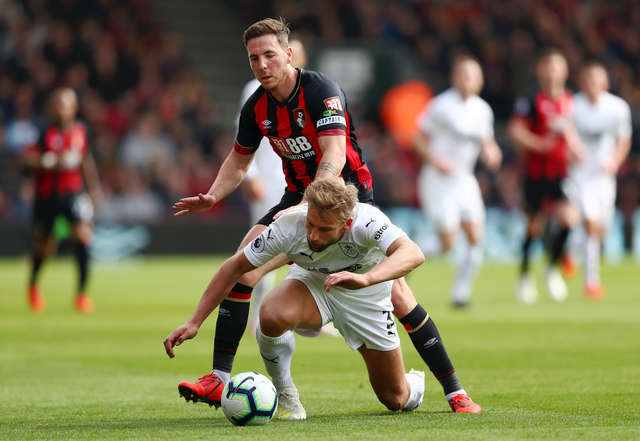 Howe made a change at the break with Diego Rico replacing Clyne and Smith shifting across to right-back. 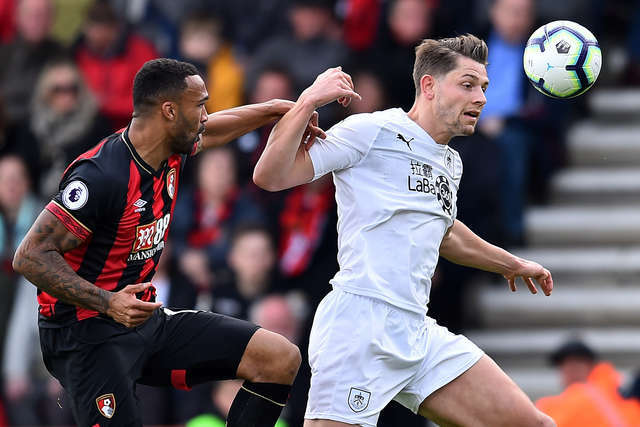 Burnley were quickly out of the blocks in the second half with Westwood’s effort deflected past the upright and going out for a corner. 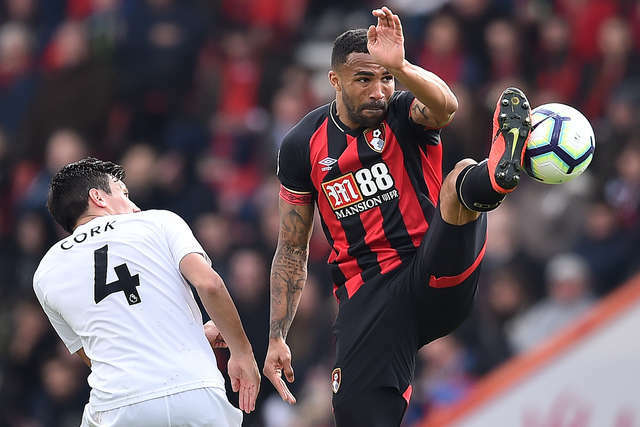 Barnes atoned for his earlier own goal when he made it 3-1 following a sustained spell of pressure from the visitors early in the second half. 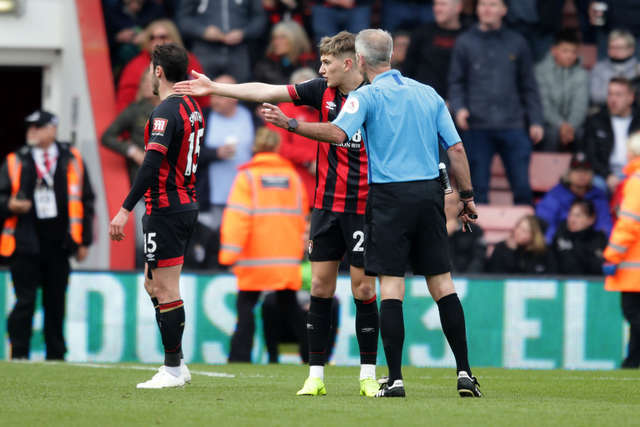 Assistant referee Stephen Child deemed the ball had not gone out of play for a throw-in in the lead up to the goal, allowing Taylor to cross from the left. And after Wood had got the better of Begovic, the New Zealander rolled the ball invitingly into the path of Barnes who made no mistake. 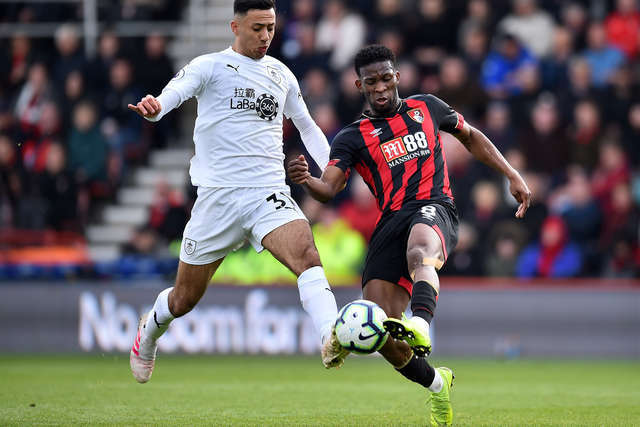 Howe made another substitution immediately after the goal with Dominic Solanke coming on for Dan Gosling before Junior Stanislas replaced Lerma on 70 minutes. 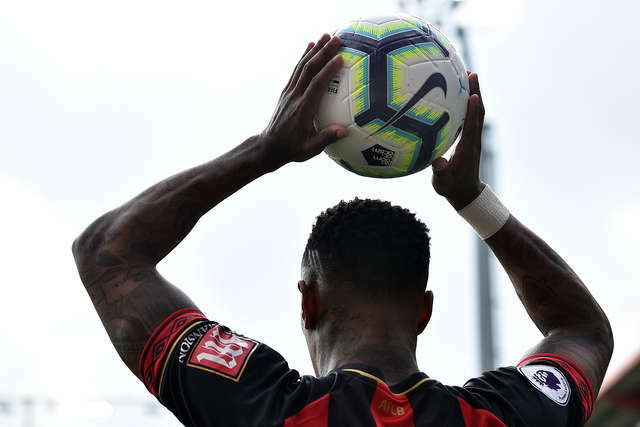 As the Cherries attempted to make inroads into the deficit, King arrived to glance a Fraser free-kick wide of the post after 73 minutes. 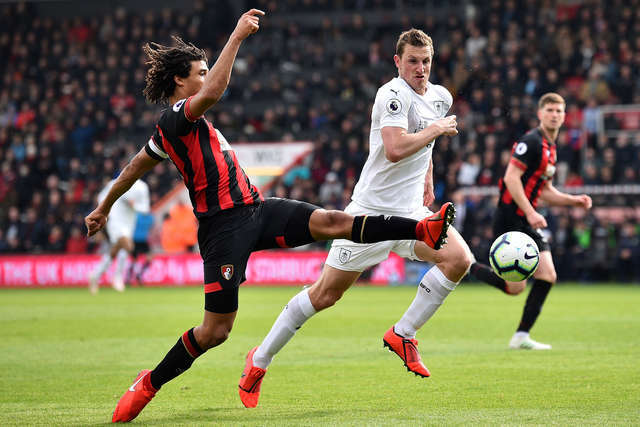 Mee was booked for chopping down Solanke with Stanislas drilling the resultant free-kick straight at the Burnley wall. 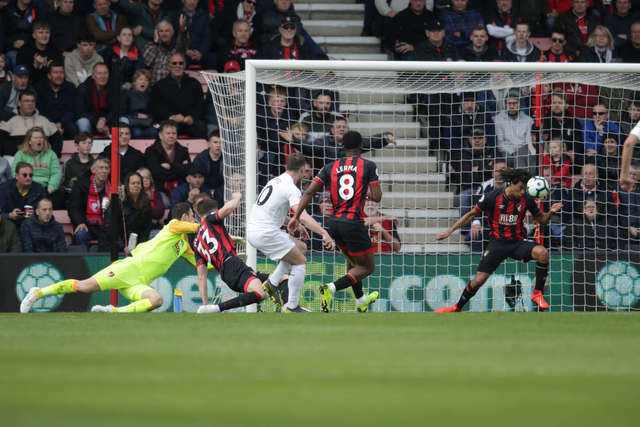 And in the closing stages, a header from Solanke failed to find the target, while Wilson clipped a Fraser cross over the top as the Cherries suffered a second defeat in succession.